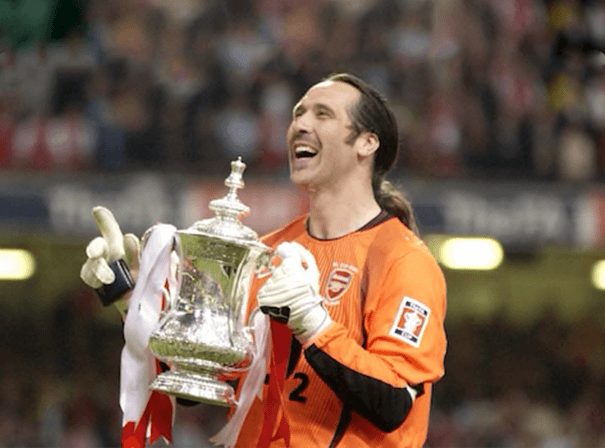 David Seaman is one of the most recognisable and talented goalkeepers of his generation and is now available to impart his sporting insight and experiences on audiences everywhere as an after diner speaker, motivational coach and more. Forever a popular and respected figure in Soccer, the Rotherham born goalkeeper was awarded an MBE in 1997 for services to sport. David’s playing career started in 1992 with Peterborough before going on to play for Birmingham City, Queens Park Rangers and Manchester City in the autumn of his career. It was with Arsenal under manager George Graham that he had most success, though, playing 563 times for the North London club. In this time he helped the team win three league titles, three FA Cups, one League Cup and the European Cup Winners Cup. Additionally he turned out an impressive 75 times for England, making him second in the overall caps list for goal keepers after the great Peter Shilton. He was a key member of the team at both the 1998 and 2002 World Cup finals, famously being lobbed by Ronaldinho from a great distance during the latter of those two competitions. After retiring from the game owing to a persistent shoulder injury in 1997, Seaman has appeared on TV a number of times on shows like Dancing on Ice where he finished fourth, as well as quiz shows including A Question of Sport.